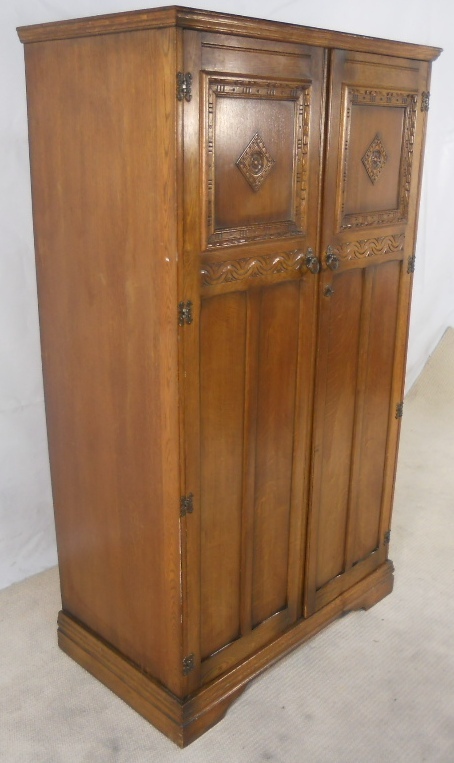 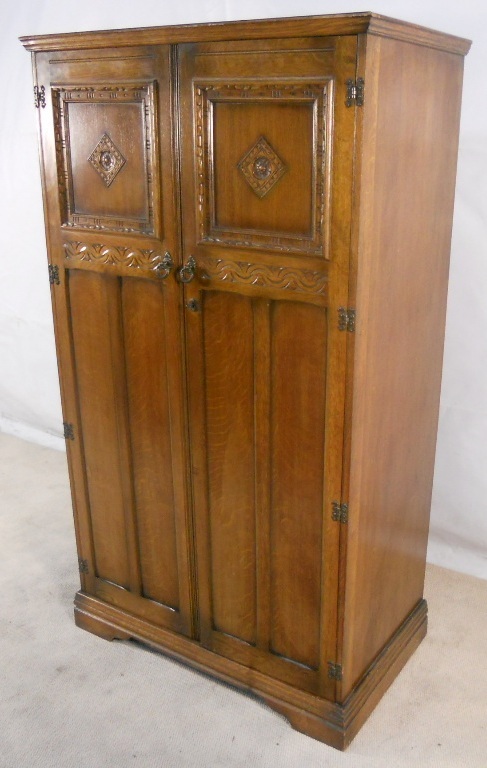 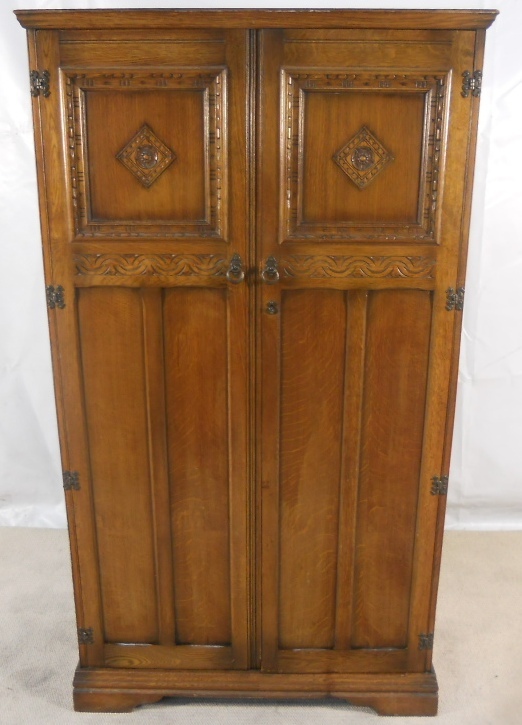 A small oak two door fitted wardrobe in the antique Jacobean style. 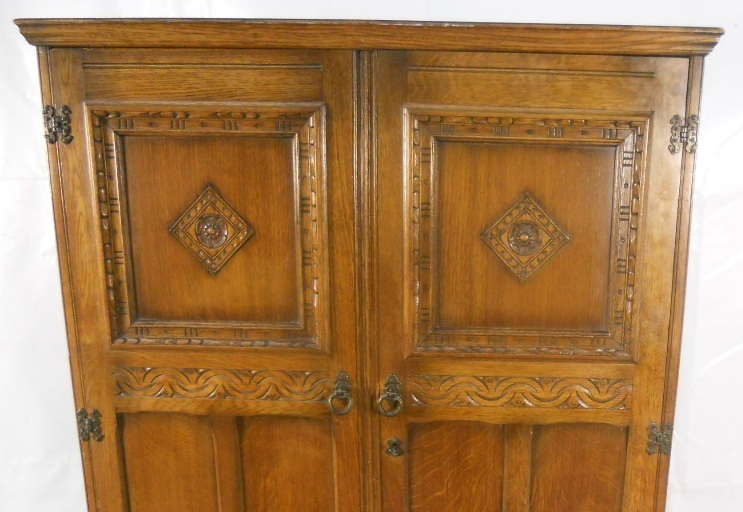 Opening front doors with original key, revealing hanging space to the left with rail and to the right fitted shelves, two with glass fronted opening doors. 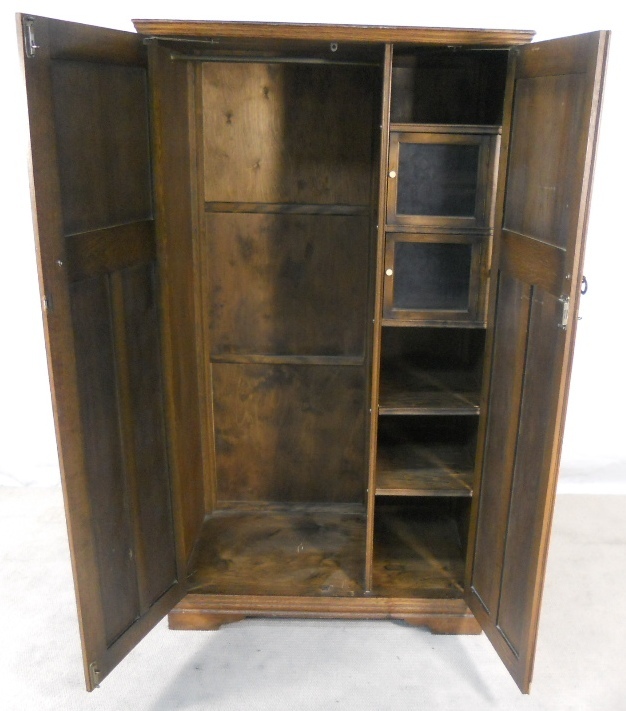 This is a compact small wardrobe, offering plenty of storage space.